Home > Ask Our Experts > How Long Before a Gluten Free Diet Helps? I was diagnosed with a wheat and gluten intolerance. I have been on a wheat and gluten free diet for over two weeks now. Can you tell me how long will it take for the symptoms to ease or fully stop? I am still suffering quite badly with stomach pains, bloating and headaches. I empathise with your struggle. Gluten can seemingly be in anything and everything, making it a lifelong struggle for many people to adhere to a gluten-free diet. Feel fortunate in that you have at least received a diagnosis based on your symptoms and signs of Coeliac disease – an intolerance to gluten. 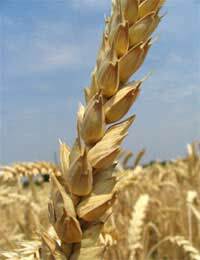 As you probably already know, Coeliac disease is caused by a person's response to gluten, which is a protein that is in wheat and related foods such as rye, barley and oats. These proteins cause damage to the villi of the small intestine, thus harming the body's digestion. Once inflammation and damage to the villi occurs, they can't absorb food as they should, which then leads to diarrhoea and malnourishment. How much time it takes to feel better on a gluten-free diet varies from one person to another. While some individuals might feel an improvement immediately, for others it can take weeks or months. Since you have been experiencing the symptoms for approximately two weeks while on a gluten-free diet, I would recommend that you continue to see your doctor but you should still stick with the diet. Your intestines could take some time to heal, particularly when the condition is diagnosed in an adult who has suffered from the condition for years. Also don't forget that mastering a gluten-free diet can be a challenge and may take time as well. You would be surprised which foods have gluten as an ingredient. Try to be diligent about reading labels because while your symptoms may simply take time to respond to a gluten-free diet, it's also possible that you are still unknowingly consuming gluten products. Yet another thing to keep in mind is that people with Coeliac disease can also suffer from food intolerances and allergies. Even though you should stick with the gluten-free diet and ensure you read all labels, if you do find your symptoms persist, then consider further testing to identify any potential allergies or intolerances to other foods. It's not easy to stick with a gluten-free diet, especially when you realise how gluten is 'hidden' in so many foods. The perseverance and dedication, however, will make you stronger and healthier in the long run. I want to share with everyone what has been a lifesaver for me. It is a yogurt that you make at home. This yogurt is used on the " scd diet" by Elaine Gotschall. This diet is all over the Internet...google it. This yogurt provides probiotics that store bought yogurt doesn't. Every time I get stomach pain I eat the yogurt..it's amazing! Why does my 5 year old daughter keep complaining of pains in her tummy for the past five evenings . I've been diagnosed as being in the very early stages of having coeliac disease.I have been suffering extreme tiredness for several years, in fact since I gave up smoking, and therefore thought that once the smoke etc was out of my system I would begin to feel better, but it worked the other way, it made me more tired.In the end I went to the doctor, it was not diagnosed.So I went away, and tried to get on with my life until I was rejected by blood donors, then after biopsy I was diagnosed.That was three weeks ago, and I am just now beginning to feel the energy re-surge, but I am taking a cocktail of vitamins and minerals to supplement my diet, in order to kick start and 'pay-back' the nuitrition I had lost and supplement the vitamins and minerals lost by not having wheat produce, supplemented at source by food companies.Something a newly diagnosed coeliac may wish to investigate further.